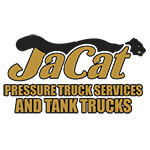 At JaCat Pressure Truck Services, we have seven trucks in out fleet including a tri-drive tank truck, one-ton and five-ton pressure trucks. 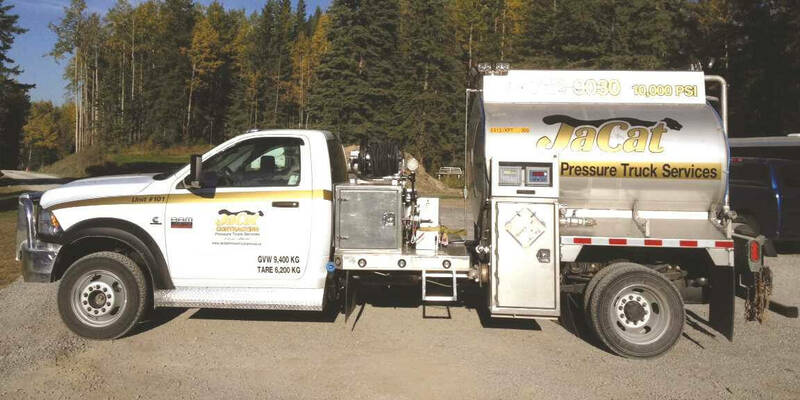 We specialize in large volume pipeline testing, including 10,000 psi, 12 lpm, blow out pressure (BOP), highline and lubricant. 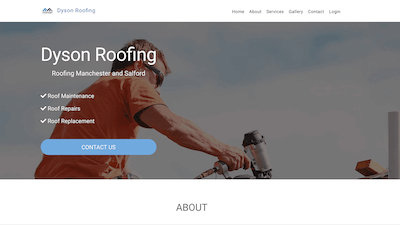 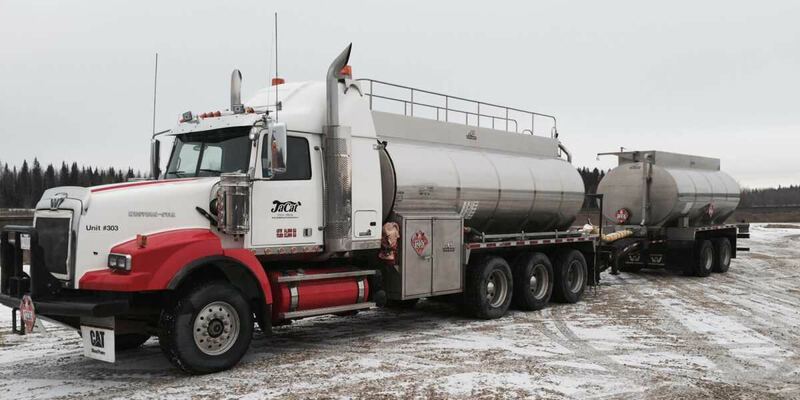 We have access to all chemicals and sell both methanol and glycol. 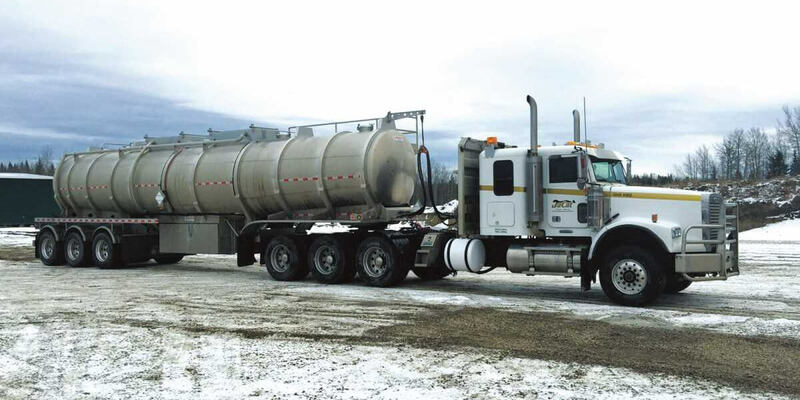 Additionally, we provide methanol and water sales and rentals, having both 400 M3 and 550 M3 in stock. 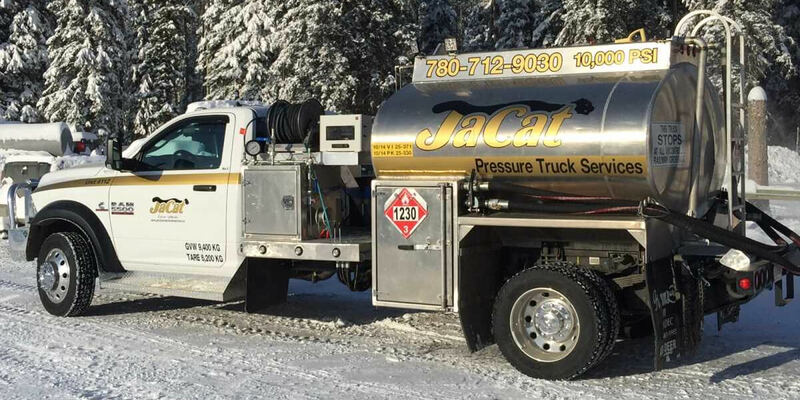 JaCat Pressure Truck Services specializes in large volume pipeline testing. 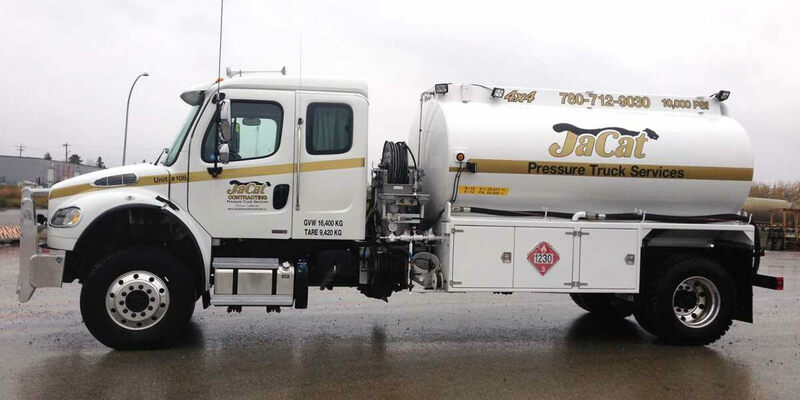 We now have seven trucks to serve you better, including a tri-drive tank truck and both a one-ton and five-ton pressure truck. 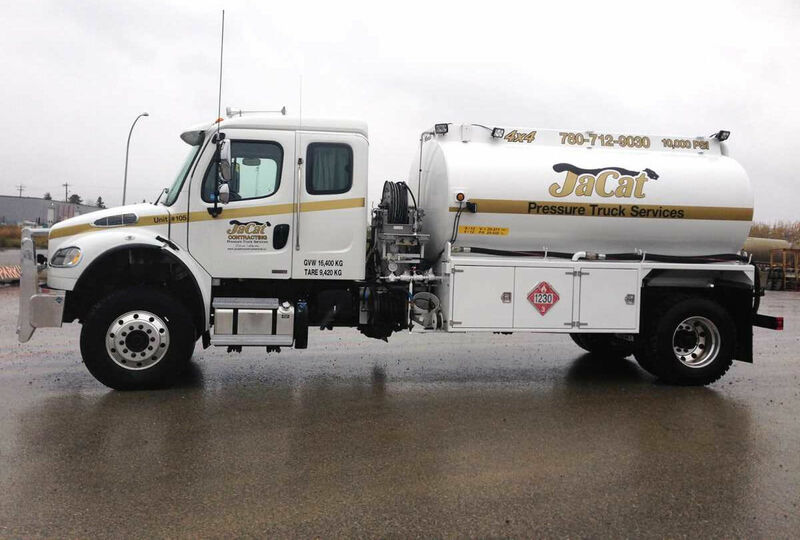 JaCat Pressure Truck Services has access to all chemicals and sells both methanol and glycol. 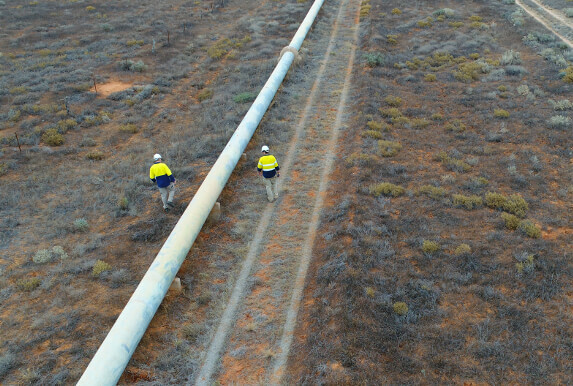 We provide methanol and water sales and rentals, and have 400 M3 to 550 M3 in stock. 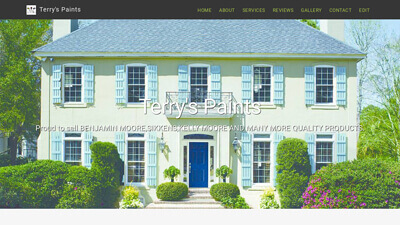 With 24-hour dispatch, we're always here for you. 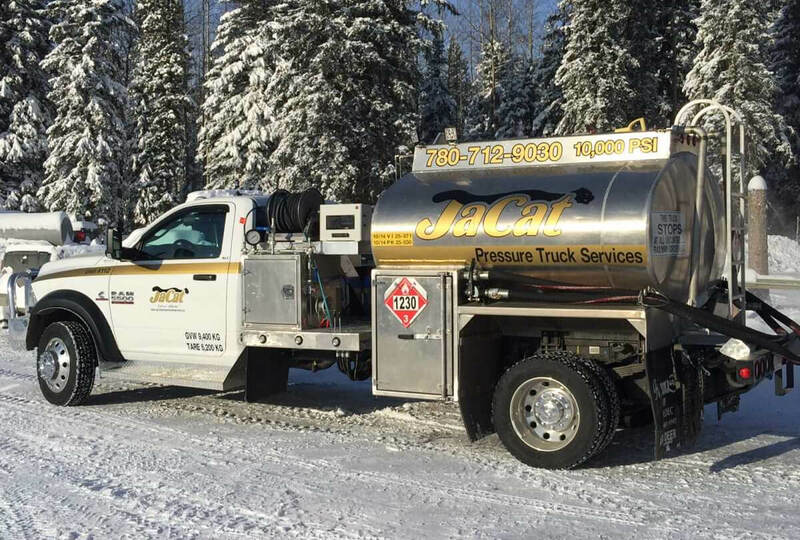 Located in Edson, CAN, we specialize in large volume pipeline testing and pumping, as well as sells of methanol and glycol with access to all chemicals.